WOW! WHAT A DISPLAY OF QUALITY PLANTS ON ONE OF THE SHOW BENCHES AT HUNMANBY COMMUNITY CENTRE 2012. The meetings are held on the last Sunday in the month 2pm - 4pm, at the Seamer & Irton Memorial Hall, Seamer. Membership at the moment is £6 Joint - £4 single. The Annual Show for 2017 is on Sunday 18th June at Hunmanby Community Centre. Ron Ward, a former transport worker, was born in Pickering in North Yorkshire and moved to Scarborough in 1980 with his late wife Maureen. Ron has been a keen plantsman for many years and was previously secretary of the Scarborough & District Fuchsia Society (16 years). Wishing for a new challenge his wife suggested he formed a club for those interested in Geraniums & Pelargoniums. 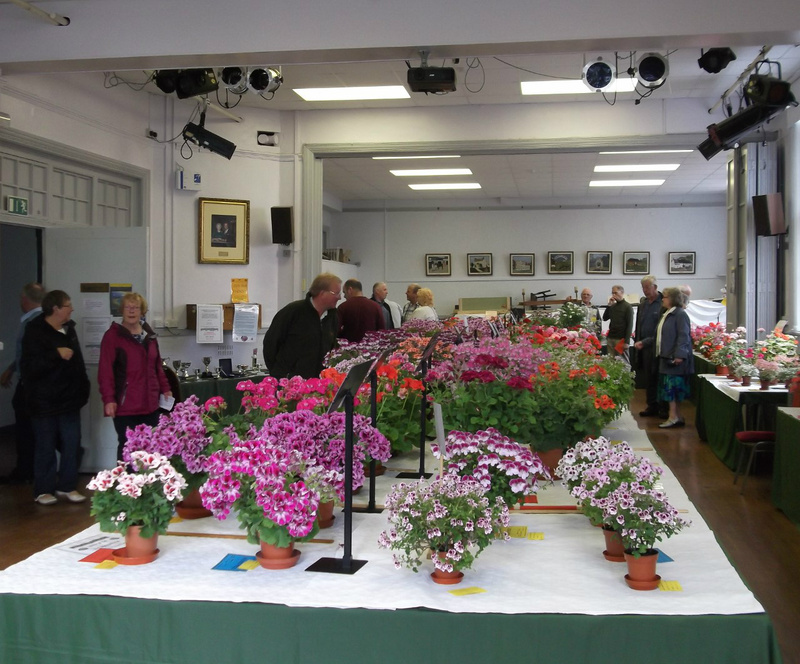 The inaugural meeting for the Yorkshire Pelargonium & Geranium Society was held in January 2001 at Ganton Village Hall with 30 attendees and 11 apologies. Fired up by Ron's enthusiasm they had a show in the first year which was held in July with 165 entries and 18 exhibitors. 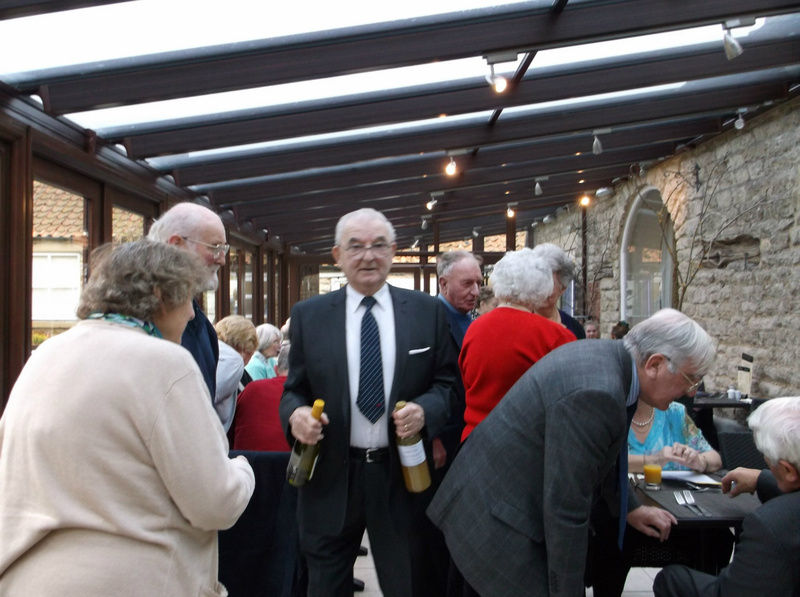 In 2008 Ron took on the task as Show Manager for the final BEGS National Show which was staged at The Spa Pavilion in Scarborough. This was attended by exhibitors from all over the UK and was a show of the highest quality. I have been a member of the Yorkshire Society for 4 years and can honestly say that he has the position of Show Secretary sorted. I can remember the first show I did there, phoned in my entries, next day got a call from Ron, 'Ken I am struggling for entries, bring anything that is in flower to help me out.' This I did willingly only to find that when staging he had said this to every exhibitor, there were plants everywhere resulting in the biggest display of Pelargoniums that I had ever seen at a show. 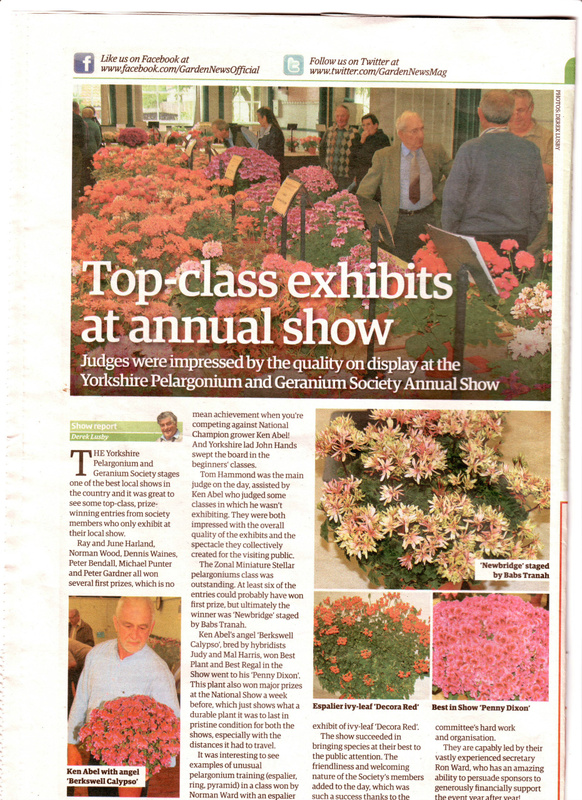 Since then the Society under the guidance of Ron and other committee members, has flourished into the best stand-alone Pelargonium Society Show in the UK and one of the friendliest, as this is the way Ron likes things to be. 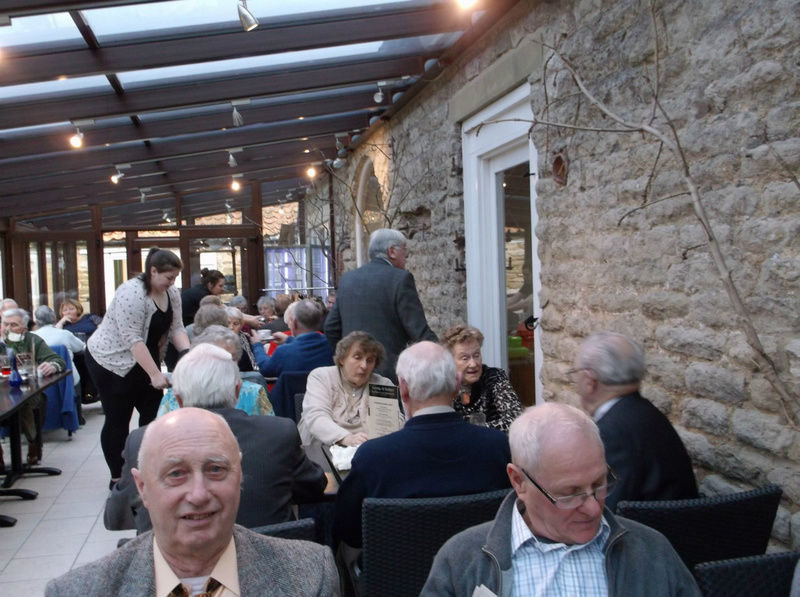 They have had to move premises for meetings and shows a number of times due to the continually increasing number of members. 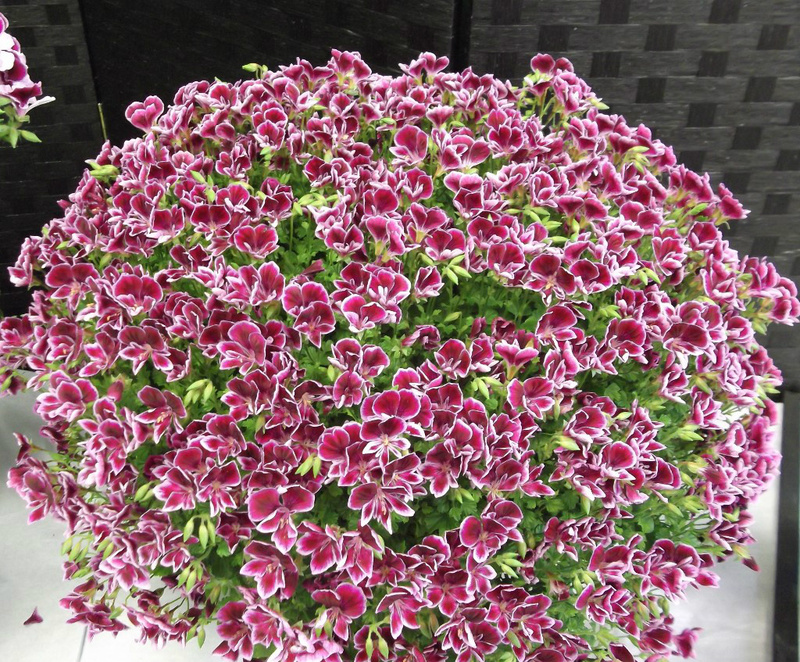 Ron works tirelessly to raise funds for the society, so they can afford to have quality speakers on Pelargoniums. 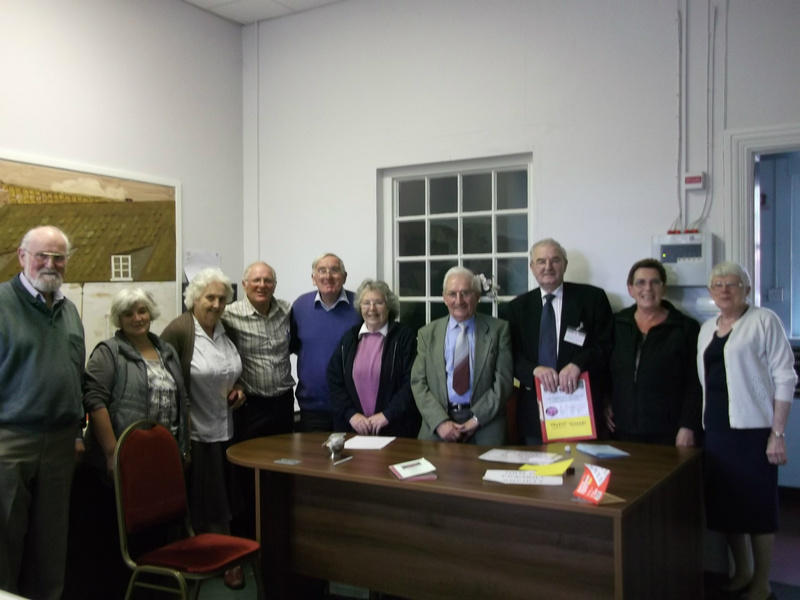 They presently hold their monthly meetings at Seamer & Irton Memorial Hall and the annual show at Hunmanby Community Centre. 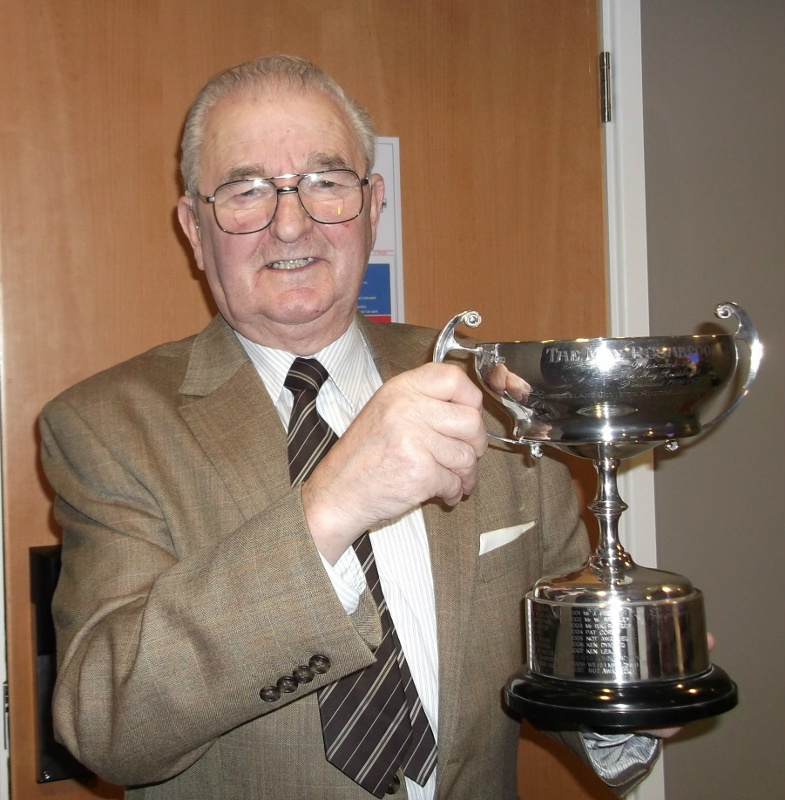 The Yorkshire Annual Show has grown in stature over the years, thanks very much to Ron's continued hard work and input. These days he is ably supported by his present wife Joan, another stalwart member of the society. Today exhibitors travel from all corners of the UK to attend and exhibit at the Yorkshire Annual Show. This summer there were well over 300 exhibits staged at the show making it an outstanding success, and I am sure that the round of applause for Ron at the end could be heard all over Yorkshire. The People's Trophy - Most Popular Plant as Voted by the Public - Ken Abel with his plant of Oriental Delight. Sunday, January 29th- A.G.M. Meeting plus a small buffet tea. Sunday, June 18th - Annual Show at Hunmanby Community Centre. SHOW SECRETARY, RON WARD, WITH SOME OF THE SOCIETY MEMBERS HELPING ON SHOW DAY. 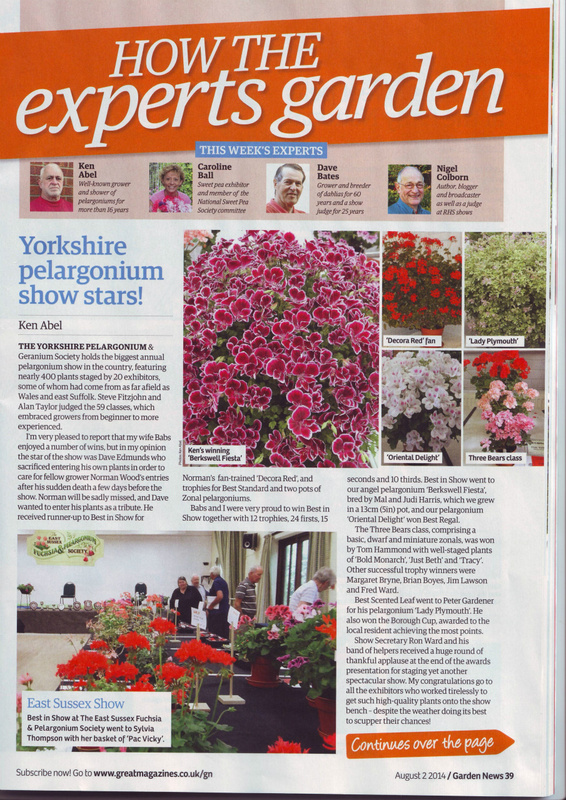 REPORT OF 2012 SHOW IN THE GARDEN NEWS. RON WARD KNOWS HOW TO PARTY.